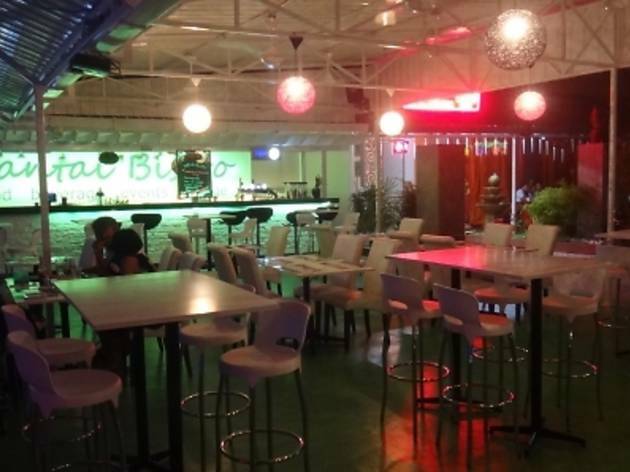 Just before you hit the first traffic lights in Batu Ferringhi, you’ll notice a square on your left consisting of a spa, clothes shop, motel and this bistro plus nightspot. 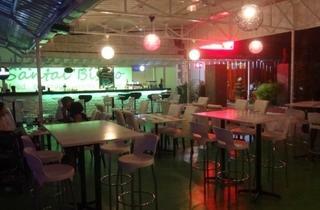 It spans six lots of the square with an outdoor, all-white bar and an air-conditioned indoor area. Their menu is mainly familiar western meals and drinks are reasonably priced. They’re planning to have live music too. Easy parking and away from the hustle of the Batu Ferringhi night market, this is a good place to go for for a meal, a drink or three and to watch football on the big screen.